We will provide you with a wetsuit & surfboard and teach you the basics you need to know to get you up and riding on a wave, we will also teach you about safety in the water. 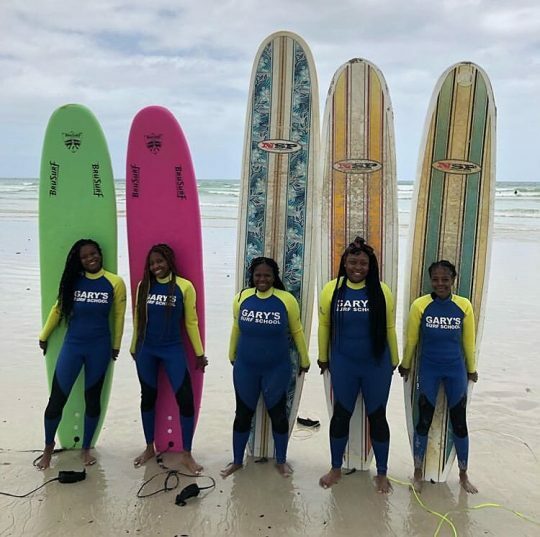 Our mobile surf school offers level 2 intermediate surf lessons at Cape Town’s best surf spots, if you wanting to learn or looking to better your skills then this is for you. 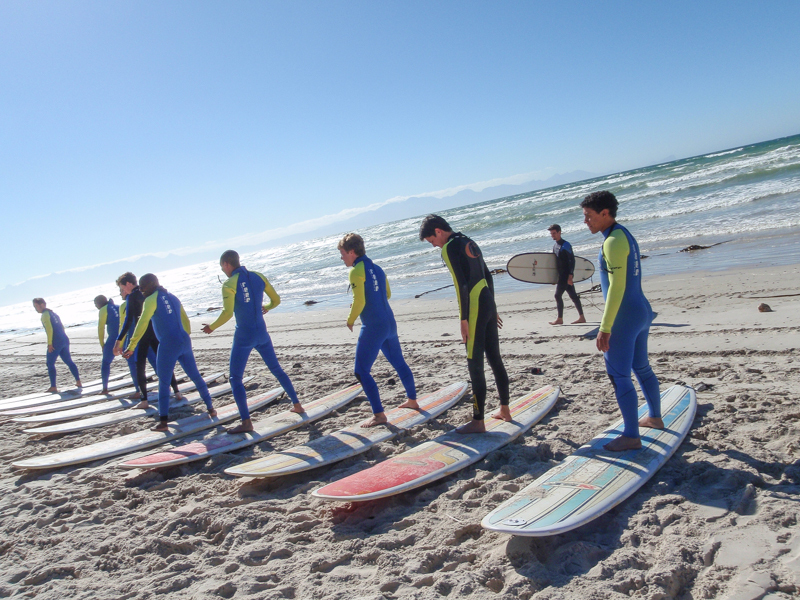 We also offer guided day surf trips & 1 week guided surf trips up the Garden Route. 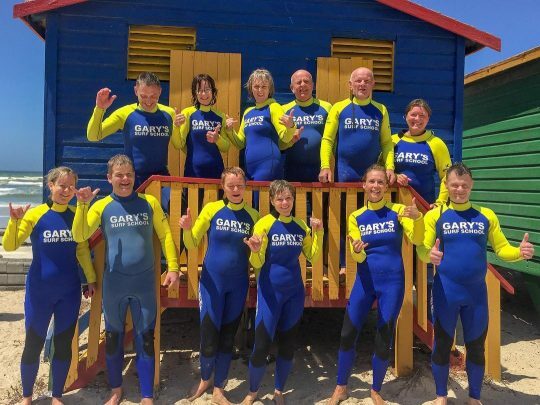 All our lessons are done around the low tide, this is because the waves break further out giving you a longer ride and its also a lot safer as there is less water and currents in the shallows. BOOKING IS ESSENTIAL! 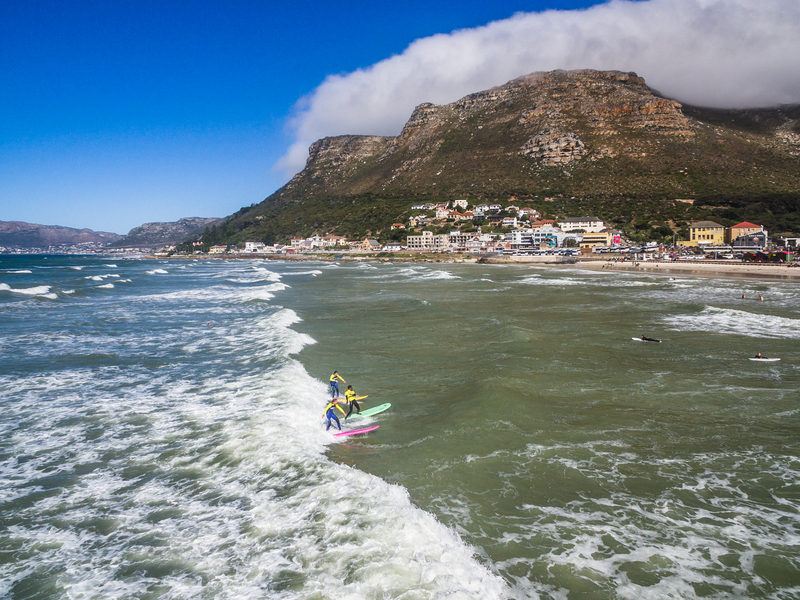 We have a wide range of surfboards from 5’5 ft up to 11ft, soft tops, fiberglass, epoxy, you name it, we got it! 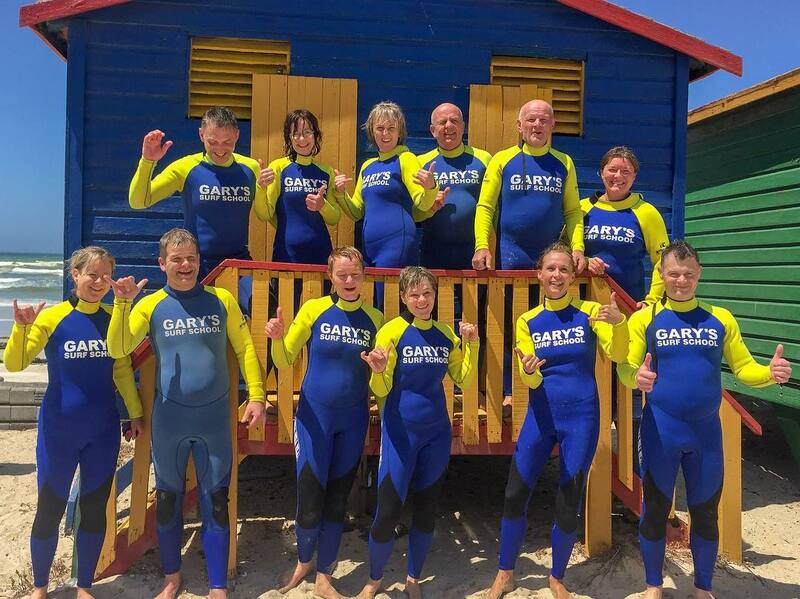 We also have wetsuits to fit all sizes and they are washed everyday after they have been used. Rash vests, leashes, and body boards are also on hand for rental & purchase. We have a locker room monitored by CCTV surveillance where you are able to leave your bags while you are in the water. 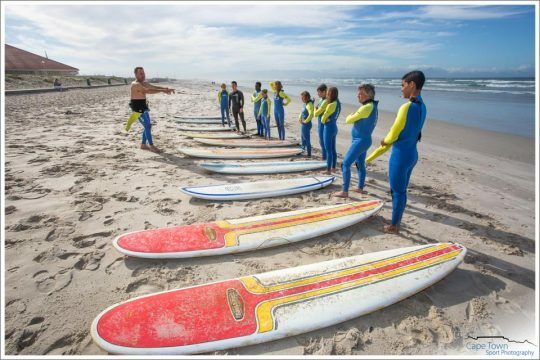 Lessons need to be booked due to tidal changes, rentals are available anytime, no need to book! 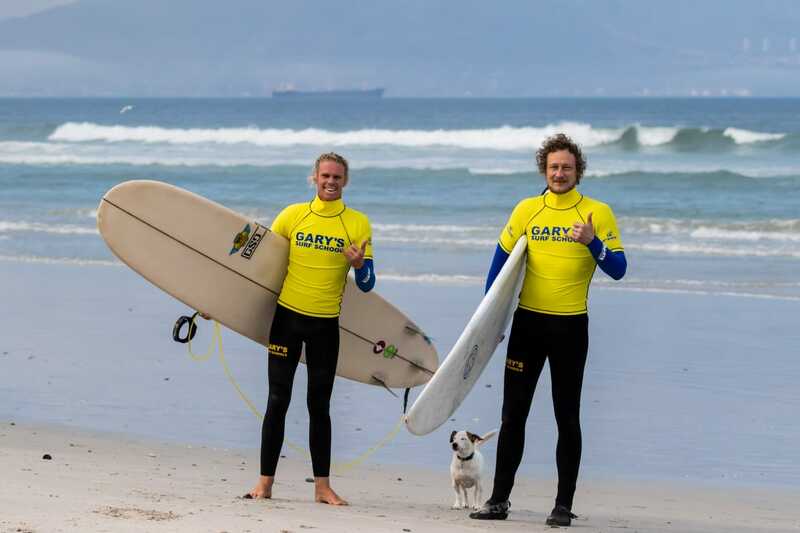 Booties, leashes, bodyboards and flippers are available for rent on request.